Aww... how romantic would that be? Too cute. I saw that cover and almost bought the mag just for that. My dream is to have an Airstream and put it in my backyard (when not in use) and use it as a great bedroom. How cool would that be to have my guests spend the night "camping out" in my backyard. We do just that. We have a 1967 Caravel that's in beautiful condition. Yes it's vintage, but I've changed the upholstry and curtains. We live in California, in the foothills of the Sierra's at an elevation of 4000 feet. My husband likes to take naps in there and occasionally we'll spend the night in it right on our property. Our son loves to stay in it when he visits. I'd like to have several just for that reason, to have extra bedrooms for guests, but that would take more time, energy and $$$ than I have. Airstreams are wonderful. 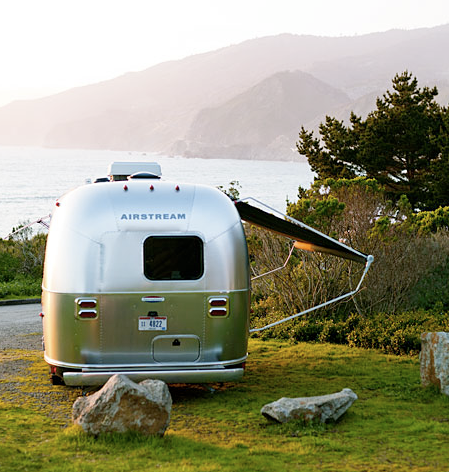 I would love to know where the picture of the Airstream overlooking the Pacific, near Big Sur, was taken. I know the area well and don't know that spot. Must be on private property. I wasn't sold until I read the above comment about using the Airstream as a cool guest bedroom in the backyard. Now I want one! Oh, yeah & the big backyard too. what a dream! big sur is one of my favorite places in the world and cruising around in an airstream would be amazing! 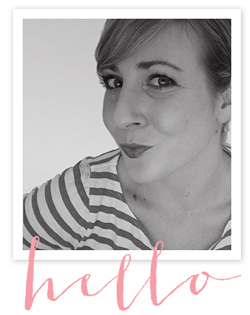 loving the guest bedroom idea too! 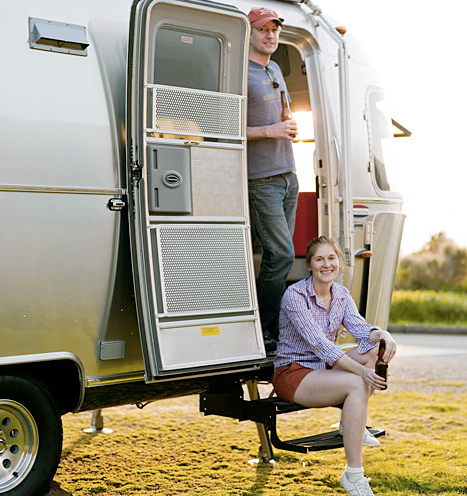 I am dying to save some money to get an airstream! I have always wanted to take a road trip cross country and seeing photos like this make me want that even more so! I never would have imagined I'd go for this, but these pics are mighty tempting.